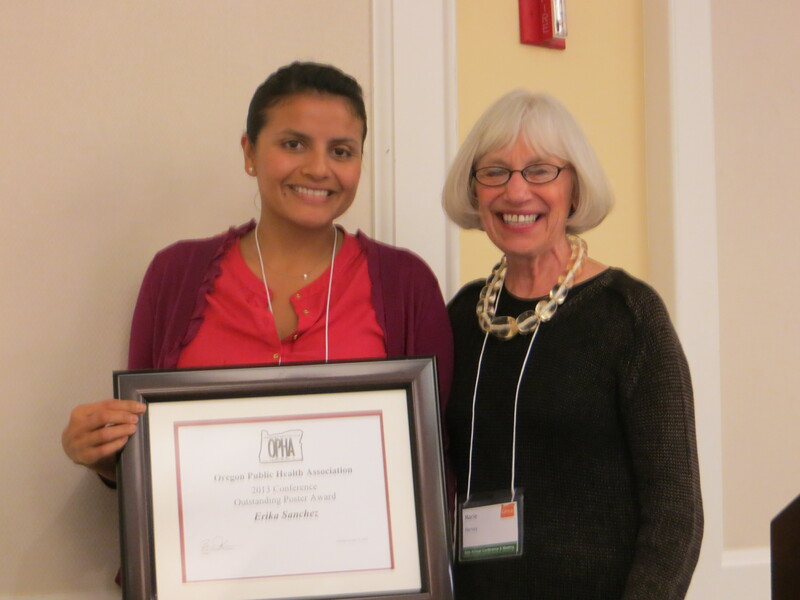 Each year, OPHA presents awards to fellow OPHA members, colleagues and community members that have contributed to public health in Oregon. All of the nominees for the 2013 OPHA Awards were exceptional in their commitment to improving the public’s health and have made a positive difference for Oregonians. 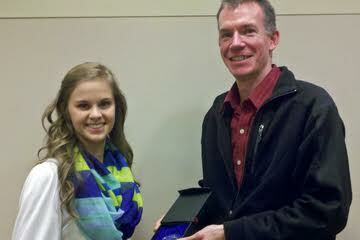 Congratulations to the following recipients who received their awards at the 2013 OPHA Annual Meeting! For over thirty years Kathleen O’Leary has worked tirelessly in her public health career at both the local and state level. At the state level, O’Leary provided technical assistance to administrators and nursing supervisors around public health practice. With an increasing demand for quality public health nurse leaders, Kathleen’s experience allowed her to collaborate in the development of the Public Health Nursing Leadership Institute in Oregon. In 2007, Kathleen started a new chapter in her career as the Washington County Public Health division manager where she brought forth an approved strategic plan, developed county epidemiology and chronic disease prevention programs, and remains actively engaged in health reform. Additionally, Kathleen has played an important role in helping Washington County public health move toward national accreditation. She is the immediate past Chair of the Conference of Local Health Officials in Oregon and recently served on the Governor’s Early Learning Design workgroup and the Oregon Public Health Advisory Board as well as on the Virginia Garcia Memorial Health Center Board. 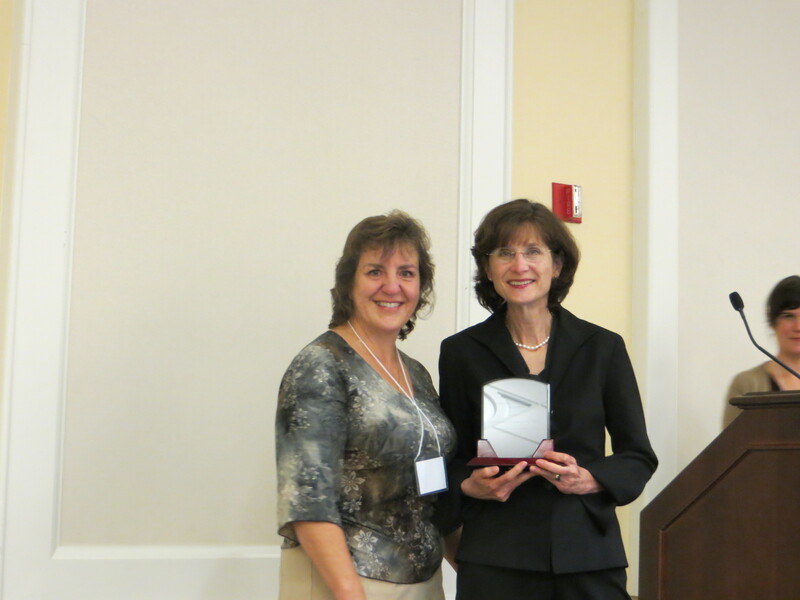 This award is given to a person who has made an outstanding contribution to advancing public health policy in Oregon. Senate Bill 436 that requires coordinated care organizations to include strategies for use of school-based health centers in community health improvement plan. Senate Bill 444 prohibiting smoking in cars when minors are present. 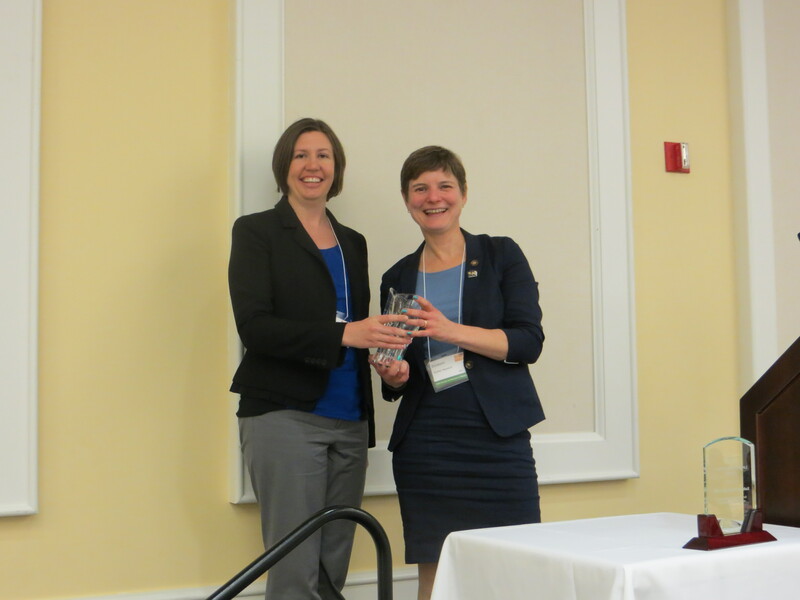 Senator Elizabeth Steiner Hayward, MD was nominated and awarded for her leadership shepherding these and other bills through the 2013 legislative session and for her ongoing commitment to improving access to high-quality, cost-effective health care for all Oregonians. As an employee of Moda Health since 2011, Sara currently works as the Lead Program Liaison, Strategic Programs, where she coordinates efforts to support the Passport to Health program, which addresses issues of care surrounding co-morbid chronic disease in conjunction with recent out/in-patient transitions of care. Her role includes implementation and maintenance of new and updated program elements, providing analytical support, and leading client-specific program launches. Sara also continues to manage the Moda Health disparities in healthcare initiative -- Equity Compass 360: Setting a course for equality and diversity in healthcare. In her previous role as Health Promotion & Quality Improvement Specialist, Sara served in a number of capacities, including quality improvement, health promotion, healthcare transformation, and intern oversight. Prior to joining Moda Health, Sara worked in wellness at PacificSource Health Plans, where she developed worksite wellness programs and promoted various aspects of health and wellness at community events throughout the Portland-metro area. Congratulations to Erika Sanchez on her poster entitled, Family Care of Older Latinos with Diabetes: A qualitative study! 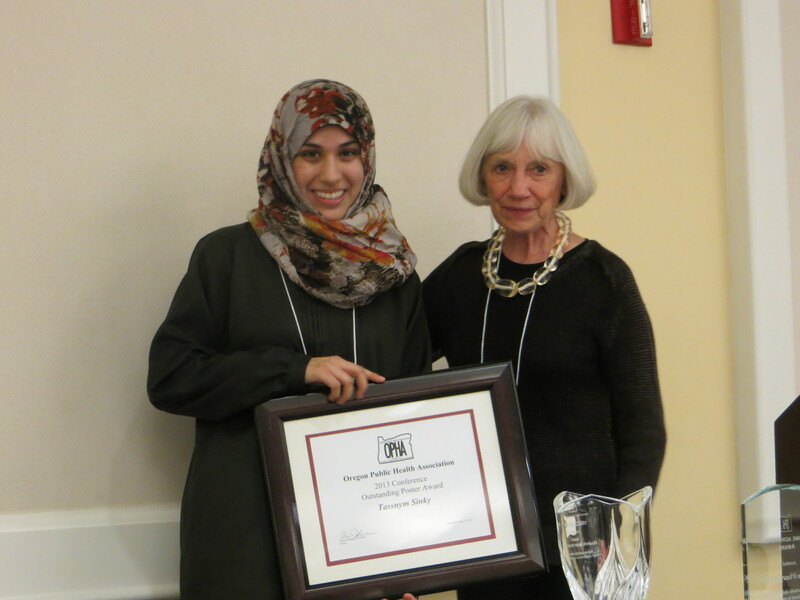 Congratulations to Tassnym Sinky on her poster entitled, Lessons Learned from Breast Cancer Narratives of Saudi Women!